The Fountain Executioner 35 is a stunning looking boat with performance to match. This example also comes in a amazing colour scheme setting this boat apart from other examples. The twin Mercruisier 496 HO's gives this boat a real turn of speed of up to 75mph although still maintaining good stability and sea keeping qualities. The interior is comfortable for short over night stay with small heads compartment and comes complete with triple axle trailer. The owner has looked after this example very well and its now available for a new owner to live out there Miami Vice dreams ! 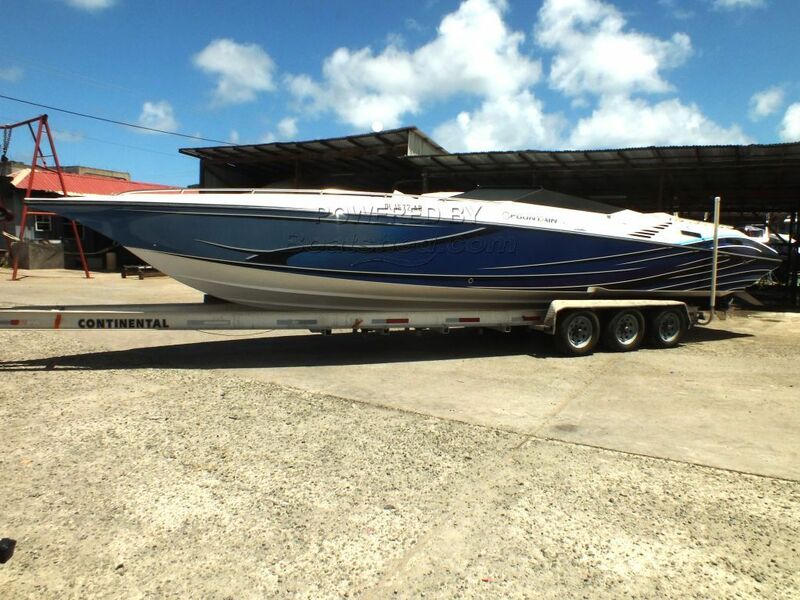 This Fountain 35 Executioner has been personally photographed and viewed by Andy Topham of Boatshed St Lucia. Click here for contact details.